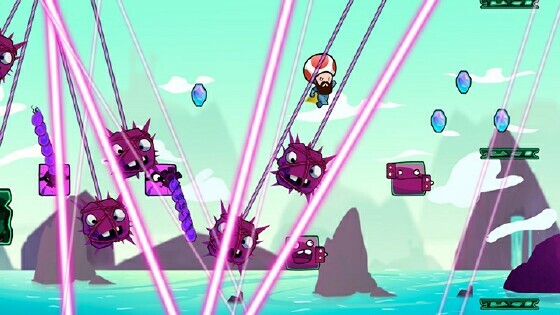 Cloudberry Kingdom sounds like the kind of game that involves cotton candy, unicorn and some rainbows. Let's just get that thought out of your head right now. 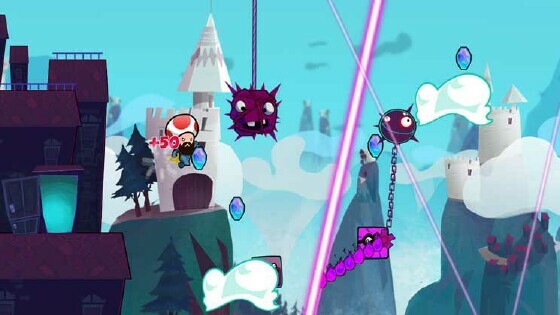 Cloudberry Kingdom is a game where you will die - a lot. According to Pwnee Studios, the game runs a series of algorithms in order to "create procedurally generated levels that can be adaptive to player skill level, in game character abilities, and alteration of game physics". 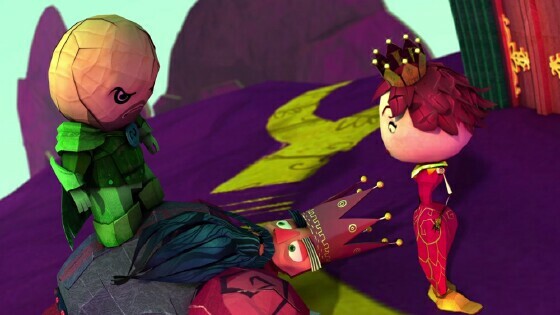 Cloudberry Kingdom itself is not without a story mind you. In fact the story itself comes off as a satire on another popular platformer that I'm sure you can guess and is simple enough. You play as the main character Bob, an overweight ex-platformer hero who is tired of saving the princess and just wants to retire. Your goal is to save The Princess, a narcissistic and clearly bored woman who can care less about the danger she's in, from King Kobbler who continually kidnaps the princess on every occasion he gets but no one knows why. The fact that Cloudberry Kingdom, being the type of game it is, even has a story mode is impressive and that it spans over seven chapters is even more impressive. 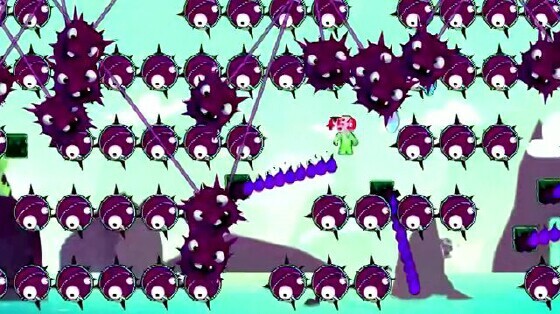 The whole purpose of Cloudberry Kingdom is to be fun while being extremely difficult and it does it almost perfectly. I say almost because it starts out fun but, once you hit a rough patch, fun can become frustrating and at times it is difficult to read the hitboxes of hazards. 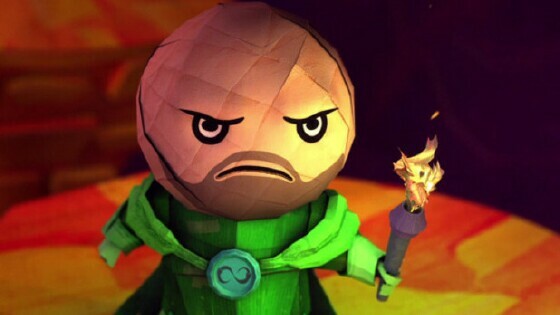 Story mode has you going through levels until you reach the next chapter but it's never that simple; every few levels, the game will through a curveball your way in the form of new mechanics. Bouncy mode has Bob riding a carousel horse that continuously jumps, Gravity Bob has you reverse gravity every time you press the jump button making your timing all the more essential, and Phase Bob has Bob continually changing sizes between a massive giant and Smurf height, which also influences his jumping and how physics affects him. Those are only three of the many ways Cloudberry can try to screw you. Customization plays a huge role in Cloudberry Kingdom but it's mostly aesthetic. You can dress Bob in a variety of outfits from the color, hats, facial hair, capes and even his head. My personal favorite, which makes the game even harder than it can be, is to make him completely invisible. No outline, no wireframe, nothing. 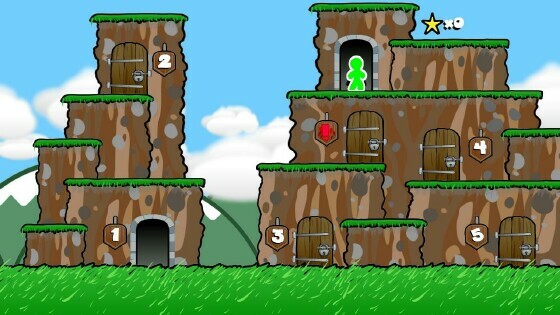 Through the Free Play option players can create their own levels and see how they fare. In the end, Free Play comes off as more of a practice mode than anything else, especially since you can't share any custom levels. 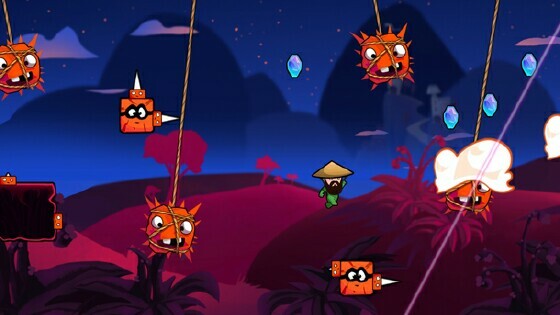 Levels can consist of spikes, spiked balls, lasers, fireballs, ghosts, insects, giant dragons and moving platforms. Sometimes levels may have only one or two hazards which is no problem yet, when you start to deal with hazards upwards of 10 that's when your skills are truly tested. The cluster of potential death on screen is mostly overwhelming but the game requires you to speed run so when you get your rhythm it's mostly smooth sailing. In Story mode, the higher levels have a breather in the form of a checkpoint so if you should die you'll respawn at the halfway point. Outside of story mode most of your play time will come from Arcade mode. Arcade is a series of different modes designed to challenge you but, unlike the story, you can set the conditions in what you play, though you have to unlock the various modes. Arcade mode not only offers a variety of customizing options, it also allows up to four player local multiplayer. All players can customize their respective Bob's too, which helps with a bit with the already hectic nonsense plaguing the screen. With all of the Arcade mode options the crazy just doesn't stop. There's one specific mode for co-op where all the players will be strapped together by bungee cords making things even more terrifyingly difficult and teamwork a necessity. Despite trying to kill you at every turn, levels have these blue gems littered around for collection and they add to your high score. The gems actually serve two purposes however. First off, they hint to the path you need to take in order to survive. Secondly, you can trade in gems for one to three options that can help you in your efforts. The first and cheapest option is the ability to watch the computer run through the level. The second shows you the safest path and how to make it through. And the last one slows the game down to half speed to ease any fast motion. The more you use these "hints", the more crystals they will cost. 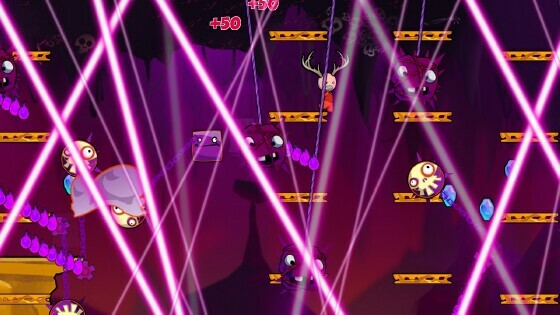 Sound isn't a prominent feature in Cloudberry Kingdom aside from the techno heavy soundtrack. Voice acting doesn't play a huge role in the game at all aside from the computer drawn cut scenes but, when it does come into play, Kevin Sorbo does a great job at giving Bob that heroic feeling and the jokes and jabs are good for a laugh or two. The soundtrack itself is extremely well done, but not all the songs fit the feel of the game. Luckily, if you aren't big on techno music, Cloudberry Kingdom allows the use of custom soundtracks so feel free to make your own playlists. 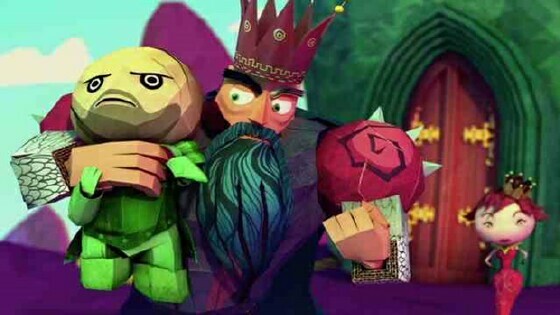 Cloudberry Kingdom is by far one of the most interesting games to come out this year. Despite it being an eternal death cycle of infinite torture levels it's hard not to have an amazing time when playing. In the same vein as "I Wanna Be the Guy", without the boss fights and perhaps even less frustrating, it's a solid game and I give it a solid 4 out of TOV 5 stars.